A romantic second-floor interior room at our Kansas B&B has all the feminine touches to make her feel right at home. 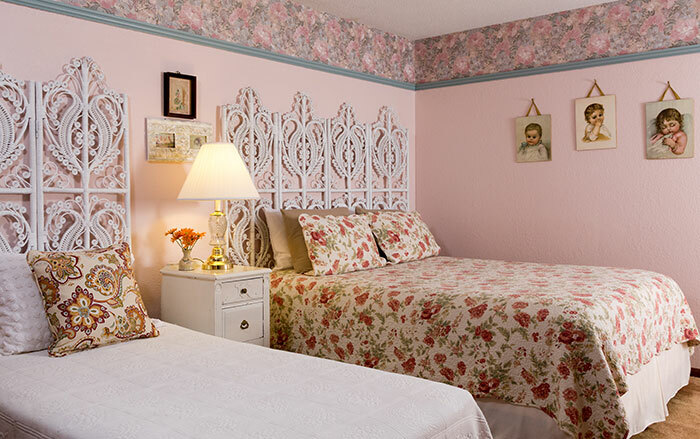 Peaceful pinks and roses envelop the relaxing queen and twin size beds. 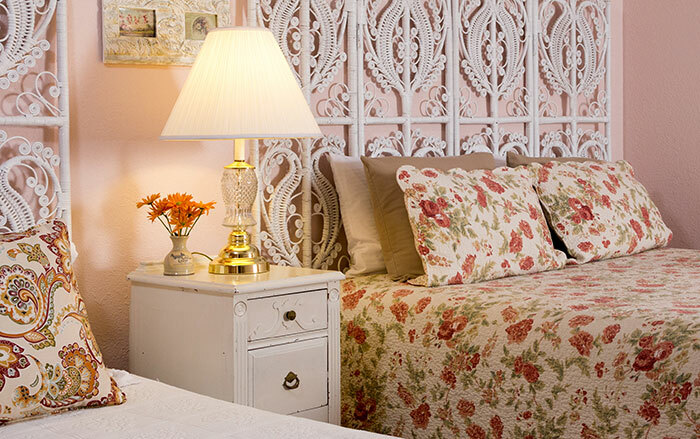 Perfect for guests on a scrapbooking or quilting retreat or for your next family reunion.